5. How can you compare Young Drivers Car Insurance? We looked at Which's review of car insurance - and particularly at the total score awarded, and their "Recommended Providers". We then looked at an independent financial services review firm's ratings for the comprehensiveness of cover each providers' policies offer for young drivers. We only considered insurance companies that have policies or tools specifically aimed at young or new drivers. Comparison sites like Gocompare.com allow you to check prices from different insurance companies, based on these factors. Because it's easy to check prices on these sites, we've decided to focus on the quality of the insurance to create our list of the best young driver insurance. According to Confused.com, car insurance prices for young people are cheaper than they were a year ago. It says that in the forth quarter of 2018 17-year-olds were paying an average of £1,855, which is £98 less than prices in the same period last year. It says 18-year-olds were paying £1,983 on average. It looks like Confused.com uses data from comprehensive car insurance policy quotes, which can be expensive. There may be cheaper policies but young drivers are still likely to find their premiums are well in excess of £1,000, which will be more than the price of many people's first car. 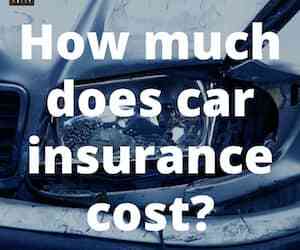 Find out more with our guide to how much UK car insurance costs. Insurance companies base their pricing on average data for age groups and young people tend to claim more. Black box policies can be cheaper for young people because the information the box records can prove the driver is safer than insurer's data would have them believe (as long as you actually drive safely!). However, young people may find it difficult to find what they consider to be cheap car insurance so it's important to have the right expectations when shopping around for cover. The model of car will also affect your price. Car insurance companies use groups to help set premium prices for particular makes and models. Lower car insurance groups, such as Group 1 or Group 6 tend to cover cars that are cheaper to buy and insure. One interesting development is the launch of Marmalade's Cars for Young Drivers scheme. This offers young drivers (17 years old and up) free car insurance for 12 months when buying a new car on finance. Prices start from around £171.36 a month, with around £500 of deposit payable up front, and cars from popular manufacturers like Fiat, Ford, Vauxhall, Kia, and Peugeot are available. You could buy your insurance with as high an excess as your insurer will allow, and then separately insure this excess. The likelihood is that this will reduce your premium. Be aware that you will be paying a separate premium for the excess cover and you'll only be able to make a claim on the excess cover if the issues cost more than the amount you have insured. Learn more about how it works. Build your No Claims Discount - some insurers will allow you to do this without having a policy in your own name so you may be able to build it while driving on a parent's policy (for example, The AA), while others will let you carry forward your learner driver track record into a full driver policy (for example, Provisional Marmalade). Choose a car from the cheapest car insurance group, Group 1. Cars in this group shouldn't cost too much and they'll have some of the cheapest insurance premiums. Get more tips and advice about how to get a better deal when you renew your car insurance after your first year of cover. Shop around, use comparison sites, black box providers and check specialist new driver policies like Marmalade's. The black box (also known as "telematics") enables insurers to track driving style and enables them to predict which drivers are more or less likely to have accidents. Black box insurance policies typically re-assess the price of insurance based on the data from the black box - either monthly, quarterly, or annually. Generally, driving shorter distances, at lower speeds, during the day (as opposed to at night), with controlled acceleration and cornering results in lower insurance premiums over time. Learn more out about the best black box providers and read reviews. How can you compare Young Drivers Car Insurance? As in most markets where prices are high, competition has entered. For many, the huge number of brands is not just bewildering but actually unhelpful. This is where the price comparison websites can help (for example Confused.com and Gocompare.com). On these sites you enter your details once and in return you’ll receive quotes from a number of insurers who are, in effect, competing for your business. However, there are some limitations with comparison sites for Young Drivers. Be aware that simply picking the company at the top of the list (ie the cheapest) might not actually get you the cheapest or most appropriate cover. Many insurers are not listed on price comparison websites, including Direct Line and Aviva. Some policies are tailored to specific groups of younger drivers and may provide more relevant or tailored cover to these groups - for example, Endsleigh has insurance cover designed specifically for students. To reduce the cost of their policies many insurers have stripped back what is included. So be sure you know that what you’re buying is what you need. For example, watch out for policies that only cover limited mileage (a 3,000 mileage policy for drivers may not work for those who have a 25 mile daily round trip to work or college). Some don’t cover windscreen damage (typically £35 - £75 to repair a chip, more to replace it). Others strip out legal expenses cover, which pays out if you need to contest an insurance decision.